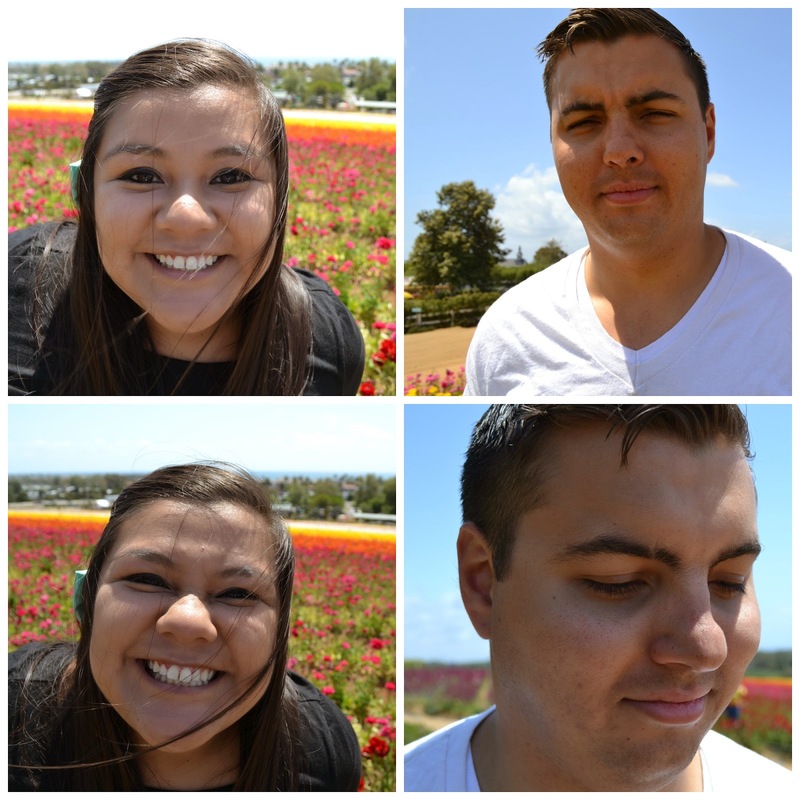 Spring is in full bloom, so Andrew and I headed to the Carlsbad Flower Fields last week to enjoy some lemonade and dance around the flower fields! 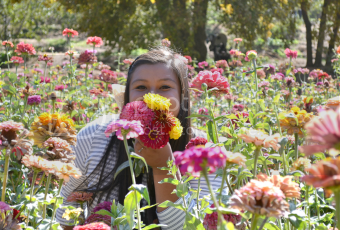 If you've never been to a flower field, you must put it on your to-do list. Seriously, it was breathtaking. You know that feeling you get when you go to the beach and realize just how big the ocean actually is, and how small you are in comparison? That's what this ginormous flower field did to me. "I will be the gladdest thing under the sun! I will touch a hundred flowers and not pick one." We went the end of March. It was gorgeous! A bit pricey to get in, but even the kids had a good time. I agree that it was a little pricey, but it's fun and very beautiful! Fun seasonal outing! Oh my word this is breathtaking! I need to check if anything like this exists near me! Also super loving your engagement ring! Thank you! I love it too of course :D and yes! Get yourself to a flower field asap! They're beautiful!